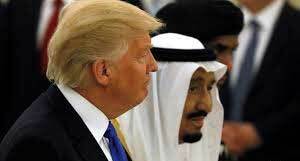 Washington, July 2 (IANS) US President Donald Trump said on Saturday that the King of Saudi Arabia, Salman bin Abdulaziz, has agreed to increase the Arab kingdom’s oil production significantly in order to stop the price of crude from rising. “Just spoke to King Salman of Saudi Arabia and explained to him that, because of the turmoil and disfunction in Iran and Venezuela, I am asking that Saudi Arabia increase oil production, maybe up to 2,000,000 barrels, to make up the difference,” Trump wrote on Twitter. “Prices to high! He has agreed!” Trump added in reference to the Saudi king. Last week, Trump urged members of the Organization of Petroleum Exporting Countries (OPEC) to boost their crude production “substantially” to keep the price down, Efe reported. OPEC and its allies decided last June 22 to raise crude production by a million barrels a day, a volume that, in the medium term, could be more like 600,000 barrels, as a way to control prices that are at their highest since 2014. It’s not yet clear if the increase with which, according to Trump, Saudi Arabia has agreed is in addition to the amount agreed with OPEC, though as Bloomberg reported this week, the state-run oil company Saudi Aramco plans to increase production starting in July to some 10.8 million barrels per day under pressure from the US. Trump is concerned about the hike in gasoline prices in the United States, where a gallon costs an average of $2.85, which is 63 cents more than last year, according to estimates of the American Automobile Association (AAA). The Democratic opposition has blamed part of that increase on Trump’s decision to withdraw the US from the 2015 nuclear deal with Iran, while Republicans fear that rising gasoline prices will dull Americans’ enthusiasm for the US economy as they approach next November’s legislative elections. The US government has threatened with sanctions all the companies in the world that starting next November 5 continue doing business with Iran, which includes oil purchases.